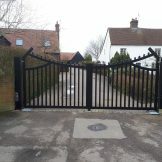 Looking for ideas on gates, barriers or bollards we can install for you? Why not browse through these installations, then get in touch to discuss something you’ve seen or to chat through an idea you’ve had. The 44 residents of Bury Meadows were considering solutions to the problem of unauthorised people using their parking facilities when visiting the local shops and train station. 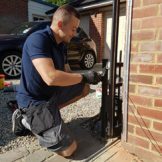 Mr Collier contacted us initially to ask if we could automate his existing 5 Bar Field Gate, which although was thirty years old, was in good repair. 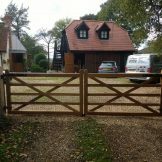 The residents of Chaul End Village were referred to us by one of our existing customers, their aim being to have an automated pair of gates at the driveway entrance, to improve the security for all properties on the development. 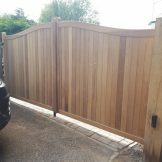 Mr Tearle of Leighton Buzzard, Beds decided to improve his driveway by replacing the existing old wooden gates, and so he contacted us for a free quotation. 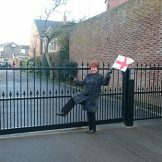 School Secretary Ann-Marie was charged with sorting out the lack of security at the pedestrian gate entrance to both the school and Pre-school. 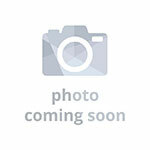 She called AutoGate Services to find out if we could help and offer a solution specific to the school’s needs.